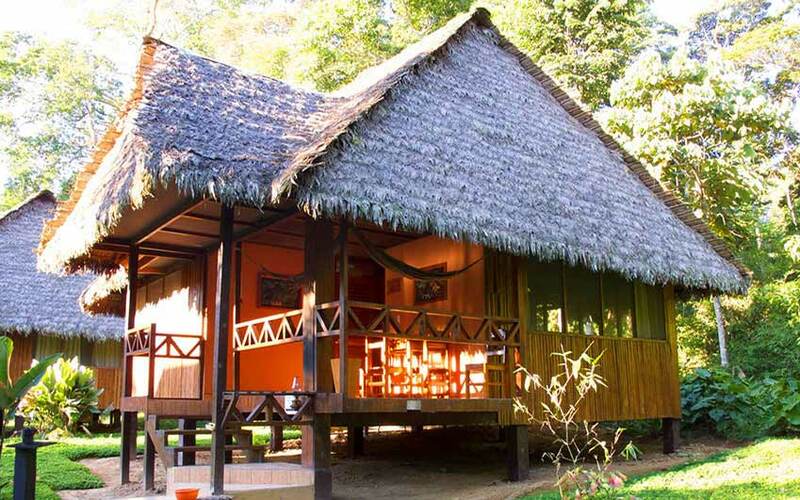 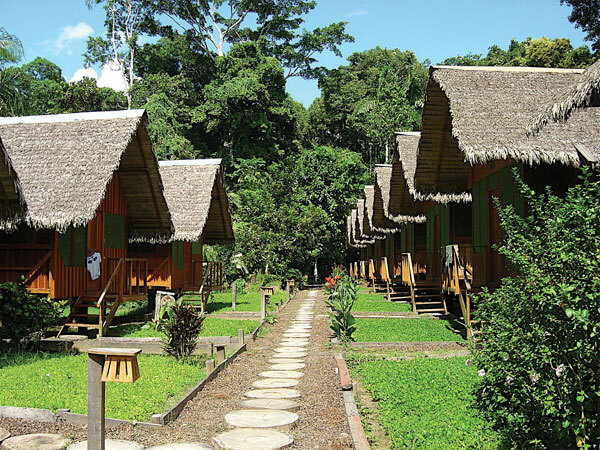 In the Amazons: Tambopata Ecolodge, was founded back in 1991, and is one of the most established eco-tourism lodges on the banks of the Tambopata River. 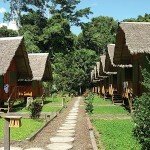 The exteriors of the cabin-like rooms are designed from local materials to harmonize with their surroundings. 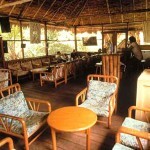 The interiors have been created with your comfort in mind. 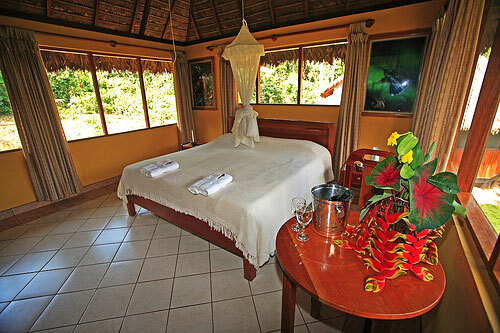 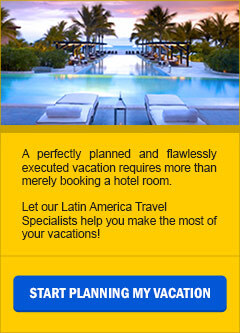 Rooms are spacious, well-decorated, comfortable and fully-screened against insects. 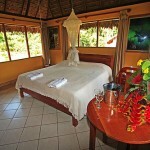 Solar panels provide light and hot water to the 59 rooms each having private bathrooms. 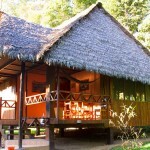 And, each cabin has its own porch with hammocks for relaxing between trips into the surrounding forest. 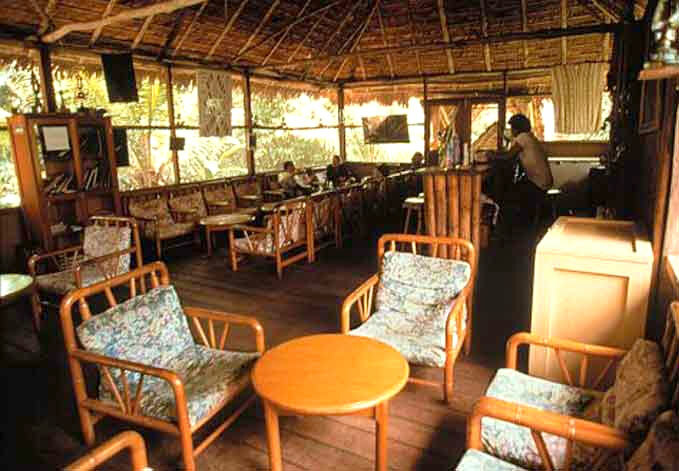 After spending the day walking part of the sign-posted 25 kilometer trail system around the lodge, there could be no better way to spend the evening than a fine meal in our excellent restaurant or an exotic cocktail in our well-stocked bar.